Ultrasound technicians, also known as diagnostic medical sonographers, use sound waves to create images that help doctors to monitor and diagnose medical conditions in patients or asses health in expecting women. Most of the technicians are employed in different health care settings, including hospitals, nursing homes, private clinics and diagnostic medical centers. In order to work in this specific field, prospective ultrasound technicians or sonographers need to obtain a certificate, associate’s, or a bachelor’s degree in sonography. Normally it takes 1-2 years to complete a certificate program in diagnostic medical sonography. These programs are accredited by the Commission on Accreditation of Allied Health Education Programs, and the certification examination is administered by the American Registry for Diagnostic Medical Sonography (ARDMS). Requirements to get admission on the certificate program in diagnostic medical sonography can vary from one program to another. You need to complete an associate’s degree in any healthcare field for some programs, while some programs require courses in physics, communications, physiology, anatomy, and algebra. The associate’s program prepares students to practice in general sonography and offers the choice to train in obstetric, vascular, and abdominal sonography. Most of the programs can be completed in 21-24 months. A minimum of a high school degree is necessary to be eligible for the associate’s degree programs in diagnostic medical sonography. In addition to that, coursework in medical terminology, physics, physiology, and anatomy may be required before beginning professional coursework. Some programs also require the CPR certification. A bachelor’s program consists of 2 years of clinical training and 2 years of basic science training. Generally students can specialize in cardiac, vascular or general sonography. Some other specialization areas include abdomen, breast, gynecology, obstetrics, and neurosonology. Usually the bachelor’s degree program in diagnostic medical sonography takes 4 years to complete. These programs are offered in universities and colleges. You must have a minimum of a high school degree or an equivalent GED to be eligible for a bachelor’s program. Job opportunities for ultrasound technicians are growing day-by-day. It is estimated that employment opportunities for these technicians will rise by 18% in the coming decade. 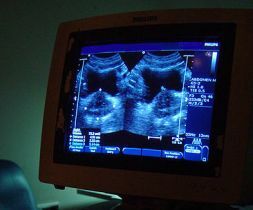 As of 2009, the average salary of ultrasound technicians was $63,640. Harold Peterson writes career related articles for onlineclass.com, a site dedicated to online education programs. He has also written lots of articles related to x-ray technician career, ultrasound technician career, etc. Previous Previous post: Happy Earth Day to you!